Rigol DSA832 - 3.2 GHz Spectrum Analyzer with compact size and light weight. The digital IF technology guarantees its reliability and performance to meet the most demanding RF applications. 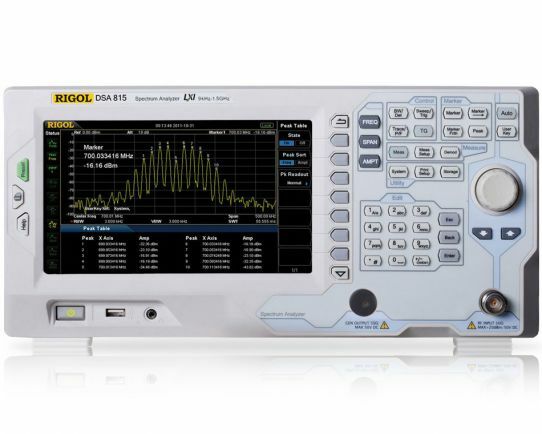 Rigol DSA875 - 7.5 GHz Spectrum Analyzer with compact size and light weight. The digital IF technology guarantees its reliability and performance to meet the most demanding RF applications.